You know that finding quality New Jersey house painters for your project is a difficult task. Everybody promises a lot but not all actually deliver. And then there's always the risk of running into an unscrupulous fly-by-nighter who will make a mess and/or run with your money. But the thing is, you often make the risk higher and the task harder for yourself by looking in all the wrong places. That's why we've made this list of 4 places to avoid if you want to find a reliable and reputable New Jersey house painter, with our reasoning behind that. These are the websites that promise to match homeowners to pre-screened NJ home painters. The offer is valid, but the problem is, not all of these sites really screen painting contractors before including them in their database. In fact, some will include almost anyone (after all, house painters pay them on a per lead basis, so the more contractors these sites have in their database, the more money they get). So make sure you read their screening policy before submitting a request. The sites that do pre-screen the contractors, will usually just check whether the painter is insured and registered with the state - which is important, but still doesn't address the quality or reliability issue. "1 room painted for $150!!!" - You've probably seen such bandit signs nailed to trees and road posts on busy streets. Many homeowners who believe the claims and hire such painting contractors are later disappointed and disgusted to realize that the whole thing was just a gimmick to get their foot through the door and then start upselling. Hardly anything is included in the price that was initially quoted, and in order to have the job completed, homeowners usually end up having to pay "extra" for the things that should come as a package. It's best to stay away from painters who use such misleading tactics. You are not likely to find a successful New Jersey painting contractor advertising in a newspaper via text ads. Who you can find here, however, are unregistered and uninsured "handymen" painters (with the corresponding quality issues) who are willing to take on any work that will come their way. 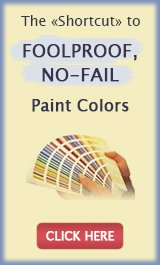 You can also often see them use the same misleading gimmicks in their ads that were discussed above, so if your goal is to find reliable New Jersey painters who will do a quality job, this is not the best place to look. The exception here is a painter who advertises with display ads. Such ads are more expensive, and usually include the company's logo and the contractor's license and registration information. All this serves as a sufficient "barrier" to filter out anyone who is not serious about their business. 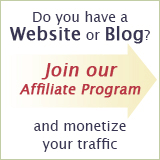 With very few exceptions, free sites like these usually attract moonlighters and fly-by-nighters who are desperately trying to score a job or two. Most of the time, you can forget about quality, reliability, customer service or any guarantee. But the biggest reason why we rated this as the worst place for finding quality painting contractors is because on sites like these, you have a higher chance of running into a house painter who will take a down payment and then disappear with your money. Because it's a free advertising site, they don't invest anything, so they don't lose anything by trying. Keep this in mind and don't let you guard down if you still decide to hire someone you found on a free classifieds site. And don't say we didn't warn you! 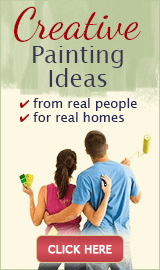 So where do you go then to find trustworthy New Jersey house painters??? Here are the top 7 places we recommend. People Painting New Jersey Homes: Who Are You Trusting?